The genetic consequences of abundance pattern and dispersal behaviour were studied using various butterfly species. Melanargia galathea (a widespread butterfly) versus Melitea aurelia (a specialist species, restricted to calcareous grasslands) were analysed to get information about the genetic consequences of these different distribution patterns. The dispersal behaviours of the two lycaenid butterflies Cupido minimus (a sedentary species) versus Aricia agesits (showing high turnover-rates of extinction and colonisation of habitats) were used to study the genetic effects of opposite dispersal behaviours. Measuring movements is an important objective in conservation biology to understand the connectivity of habitats in a landscape. Mark-release-recapture (MRR) studies were performed with different butterfly species to study intra- and inter-population movements, population sizes and individual life-times. The movement data were compared with genetic data. (markers: MRR, allozymes, funded by the German Research Fund DFG). Read more: Habel JC, Junker M, Schmitt T (2010) Low genetic differentiation and high dispersal ability in the widespread butterfly species Melanargia galathea. Journal of Insect Conservation 14: 467-478. Habel JC, Schmitt T (2009) The genetic consequences of different dispersal behaviours in two Lycaenid butterfly species. Bulletin of Entomological Research 99: 513-523. Habel JC, Meyer M, Schmitt T (2009) The genetic consequence of differing ecological demands of a generalist and a specialist butterfly species. Biodiversity and Conservation 18: 1895-1908. 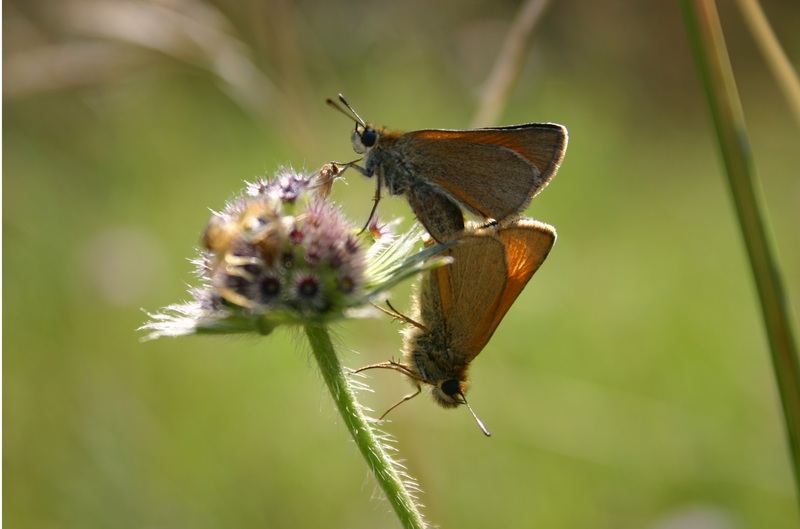 Louy D, Habel JC, Schmitt T, Meyer M, Assmann T, Müller P (2007) Strongly diverging population genetic patterns of three skipper species: isolation, restricted gene flow and panmixis. Conservation Genetics 8: 671-681.